Added on November 22, 2018 by Miguel Sopena. Jusepe (or Giuseppe, or José) de Ribera was born in the town of Xàtiva, in the Valencian region of Spain (where I happen to come from) in 1590/91. From what is known, he trained as a painter in Spain and Italy before establishing himself in Naples (then a Spanish possession) in 1616 after a stint in Rome. 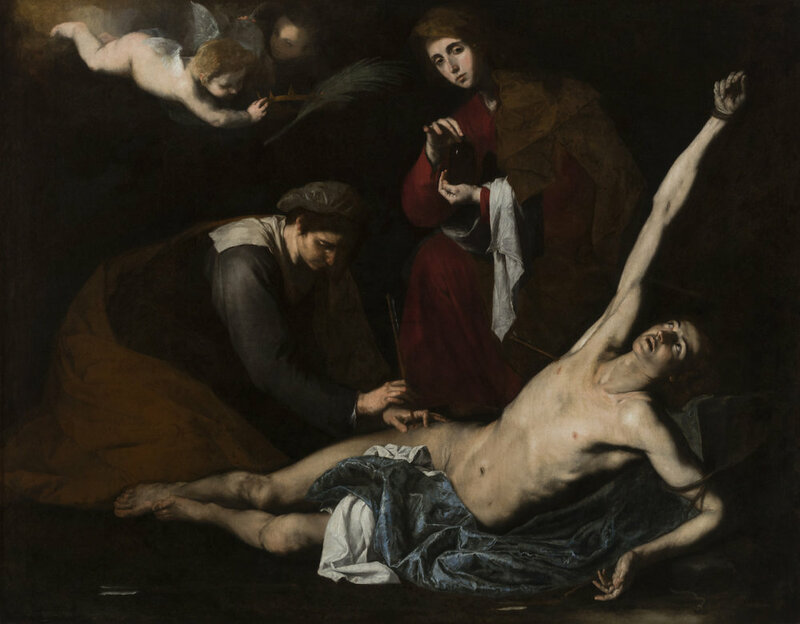 One in a number of excellent niche exhibitions at the Dulwich Picture Gallery in South London, Ribera: Art of Violence (26/09/2018 – 27/01/2019) focuses on Ribera's well-known depictions of gruesome scenes, mainly from the Christian tradition. The paintings shown here follow the style made popular by Caravaggio and his followers which combines extreme realism with strong chiaroscuro (light/dark contrast) to achieve striking effects. Highlights of the visit include Ribera's treatment of the martyrdoms of St Sebastian and St Bartholomew and the pagan (but equally gory) theme of the punishment of the satyr Marsyas by the Olympian god Apollo. In all these works Ribera shows off his well-known draughtsmanship and his remarkable knowledge of human anatomy. Other highlights of the exhibition include arresting sketches and finished drawings from Ribera's sketchbooks, including in situ captures of violent torture meted out to prisoners in the public square (a common occurrence at the time) which may have served as raw material for Ribera's compositions. A small but perfectly formed gem of an exhibition. Catch it if you can.